Kick-off seminar of the Nordic Council of Minsiters project "Renewable Energy in North-West Russia" took place in Murmansk on Paril, 16-17. Project is implemented with NCM program on competence building and netwroking. Seminar gathered project partners from Rebublic of Karelia, Murmansk and Arkhangelsk regions, as well as participants from the Nordic countries - Sweden, Finland and Norway. Partners shared experiences of using renewable energy in own regions and countries, discussed prospects of development of renewable energetics and spheres of application of alternative energy sources, such as wind power and hydro power. 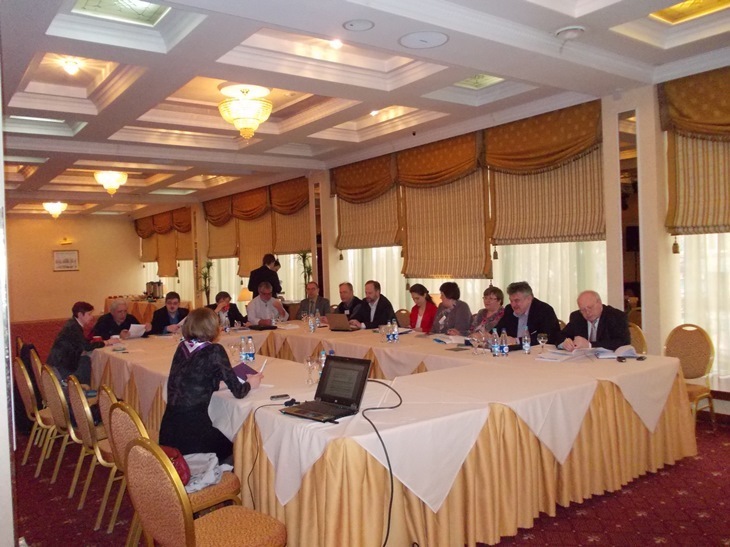 Agenda of the project's working group of April,17th focused on the porject plans - the group adopted activity plan for 2013. On the same day participants visited some of facilities in Murmansk, using wind energy - hotel "Lights of Murmansk" and ostrich farm. Also, a tour was offered to the nuclear icebreaker "Lenin", which is currently a museum and a training center of Rosatom - Russian nuclear agency.